Recent invectives by Bi-Courtney Aviation Services Limited (BASL) about any issue concerning the Federal Airports Authority of Nigeria (FAAN) over debts and everything else leaves a lot of questions in the lips of onlookers like myself who have watched with keen interest, a lot of drama unfold between all parties. The crux is who owes what? And who own what? Sadly, this has been the ongoing story since after commencement of the BASL terminal way back in 2007, 9 years ago and one would wonder if there was ever a time when there was peace. The issues continue to belie logic with the claims and counter claims by all these parties involved from the agreement for the concession which is still shrouded in a lot of secrecy, with 12, 25 and 36 years being touted by various stakeholders to monetary claims by all alleging that the other owes them. Worse part is when the agreement was being signed there was a lot of buzz and all parties were to keep its content secret, I wonder where that happens anymore, and now they all come out to quote sections of an agreement no one has seen, or is sure of the content or even who signed for that matter. On May 1, 2016, management of Bi-Courtney stepped it up a notch with a statement declaring that the N12.5b claimed by the unions that Arik Air owes is funds belonging to them and not to FAAN having claimed ownership of the General Aviation Terminal (GAT), which by the way they claimed from afar. 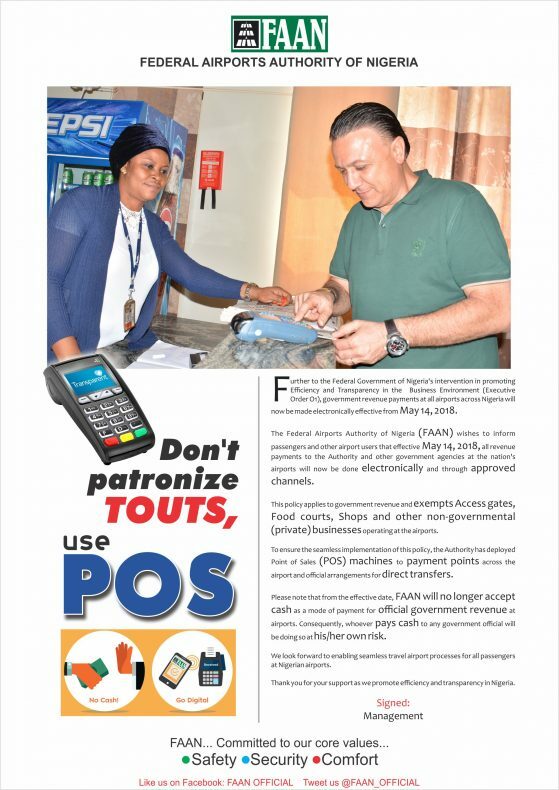 This is not the first time Bi-Courtney has turned a situation to its advantage opportunistically as there was a time in 2013 when FAAN claimed the terminal operator owed it N1.9billion only for Bi-Courtney to come out with a counterclaim that they own the GAT and that FAAN actually owed it N132billion. Note, I truly believe FAAN has a lot to do in terms of cleaning up their house, but I also believe like most preachers and the Bible, Bi-Courtney should stop playing up parts of the agreements that favours it or play the victim to win sympathy as they are deep in the muck with their actions too. The media has become a willing tool in the era of tweet, like, share a story the hit has become instant and with the various accounts out there who do you want to believe? Especially when you do not know the content of the agreement being flaunted and from what divide. I keep mentioning this agreement because every problem between Bi-Courtney and every other airline and agency cropped up from this same agreement in 2007 after President Olusegun Obasanjo left office. My thoughts are that Bi-Courtney instead of piggybacking on anyone who visits their terminal to rain unsavoury comments about their landlord or any airline not operating from there should get creative on how to make its terminal truly world-class as the terminal operator had continued to blame FAAN any chance its gets for any misfortune in its terminal. 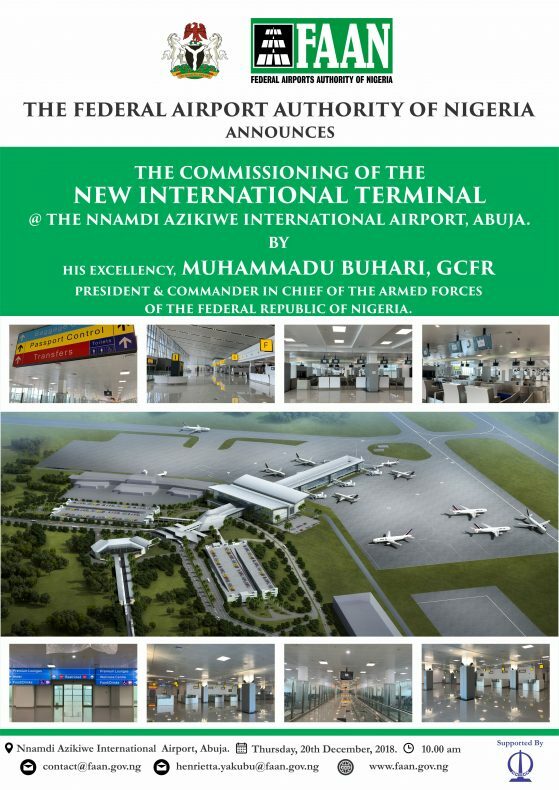 First off, on its regional operations brouhaha, according to the Chief Executive Officer, Bi-Courtney Aviation Services Limited (BASL), Mr. Christophe Pennick, t some stakeholders in the aviation industry have been actively working against their bid to secure the needed approval, despite the huge investment the operator of the Nigeria’s number one airport terminal has committed to the project. Then there was the report stating that FAAN was responsible for the aircraft brush between two of First Nation’s aircraft as it said FAAN said it handled marshalling. Sometime last month, I read a story that the Chairman, Ministerial Committee on Assessment Aviation Security, Retired Air Commodore Hambali Tukur, had cleared the terminal for regional operations stating that the committee chairman was surprised that international operations had not started taking place at the terminal. However, same Air Commodore Tukur while handing over his report to the Minister of State, Aviation Hadi Sirika, said at no time, did they approve or certify any airport for regional operations as it was not part of their terms of reference. According to the statement he made while handing in his report, Chairman, Ministerial Committee on Assessment Aviation Security, Retired Air Commodore Hambali Tukur, emphasized that the committee, in the course of its assignment did not certify any airport in the country, adding that it was not their mandate to certify any airport on security, so why would Bi-Courtney want to misrepresent the gentleman to further its own gains? All these accusations are merely petty ’argumentum ad homme’ that instead of facing their issues and get better at their operations, they are attacking others and blaming everyone else for whatever the problem is or using anyone they can to further their cause. Then there is the Arik debt saga, one would ask, why had Bi-Courtney not been computing the debt of airlines operating from ‘their’ terminal and come out with it before FAAN came out with the N12.5 billion? Giving the way the situation has gone in terms of reconciliation, can Bi-Courtney conveniently say it knows how much Arik and FAAN has between them? And still what makes it historically bad is that Arik in 2009 vowed that they would never operate on any terminal owned or operated by Bi-Courtney giving the spate they had in September 2009. Let me refresh our memories, Arik Air, September 19, 2009, threatened to shut down its operation following an ‘order from above’ that Bi-Courtney Aviation Services should take over the General Aviation Terminal (GAT) located at the Murtala Muhammed International Airport, (MMIA), Lagos which is the base of the airline’s domestic operations. Bi-Courtney had claimed that in its agreement with the Federal Airports Authority of Nigeria (FAAN), the terminal was part of the property it took over when it agreed to develop the facility for domestic operation at the airport. However, Counsel to Arik Air, Chief Assam E. Assam, declared then that Arik might stop operation if need be because it could not operate in any facility that is under the control and monopolistic management of Bi-Courtney Aviation Services. Assam said the Minister of Aviation, Mr. Babatunde Omotoba, informed the Vice-President of Arik Air, Senator Anietie Okon, that he was acting on the directive of the Attorney-General of the Federation, the now debarred Mr. Michael Aondoakaa that the GAT would be handed over to Bi-Courtney Limited on Saturday, September 19 for control and management. Assam further said instead of operating in a terminal that is managed by Bi-Courtney, Arik Air would rather close its operations. But Arik Air stayed back at GAT and before this last decision of the Federal Government there were indications that Arik Air management was contemplating developing GAT. FAAN on its part had held the position that GAT was not part of the property given to Bi-Courtney in the agreement it has with the organization and had sided Arik Air in the struggle to retain GAT as FAAN entity as it has been the major source of revenue to the agency. Assam also said that the agreement Bi-Courtney had with FAAN on the duration of the concession was 12 years instead of 36 years, insisting that former President Obasanjo did not approve the 36 years concession period requested by Bi-Courtney. He said Arik on becoming aware of the decision of the Federal Government decided to take steps to seek two separate actions in court, one a prayer that the directive be set aside “on the grounds of express fraud, misrepresentation, suppression of facts, nullity, inaccurate error, incompetence (by way of absence of proper and needed defendants) and then the consequential lack of jurisdiction on the Court”. The Arik Counsel also said that the airline would not move its operations out of the GAT to MMA 2, because the decision was allegedly illegal. According to Assam, the concession contract for the construction and management of MMA 2 between the Ministry of Aviation and BASL did not cover the GAT as a concession area. “It was for that reason that the Federal Airports Authority of Nigeria (FAAN) published an invitation on August 10 2009 for Expressions of Interests for consultants to bid for designs for expansion and improvement of the GAT area as a prelude to open bidding for concession for the GAT to deserving bodies. Many firms have responded to that,” Assam explained. The Arik Air’s counsel also said the airline in November 2007 paid N160million for space in MMA 2, but no space was allocated to the airline and yet the money was not returned. “As a result of Arik’s experience with BASL, Arik shall not, under any circumstance, operate in any terminal managed by BASL and no form of coercion will compel it to. Also, we shall not operate under the monopolistic tyranny of any organization, whether such is masterminded by the chief law officer of the federation or not,” he stated. This years old dance to take over the GAT has gone on for too long and has become too old, methinks that Bi-Courtney instead of fighting in the media and calling FAAN all sorts should concentrate on the courts if they have cases there and not tell Nigerians that FAAN is not a respecter of the courts if it continues also to take the laws into its hands and clean its dirty napkin in the court of public opinion. Why the desperate antics instead of fighting through the legal system, the Bi-Courtney management is using the silence of the airport authority which has not reacted to any of its calumnious campaigns to portray it as incompetent. “No Minister. This should go through the Infrastructure Concession and Regulatory Committee (ICRC) and be approved by the Federal Executive Council for ratification,” so how in heaven’s name did we start touting 36 years as tenure for the concession agreement between both parties. To the best of my memory, which is good, I have never heard when at home or here, where the FEC sat and ratified the agreement for 36years. I urge the president, Muhammadu Buhari to look into this and once and for all lay these issues to rest so we can move on without more years of rancour in our aviation industry.